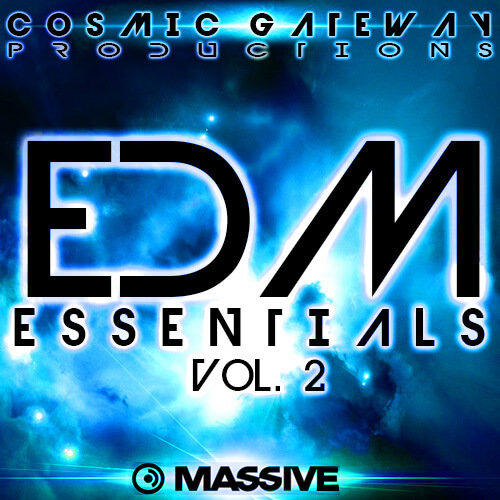 Cosmic Gateway Productions presents ‘EDM Essentials Vol. 2’ a soundbank with 65 presets! This pack contains presets designed for any genre under the EDM umbrella. Whether you need nasty growls, reese-style bass, massive wobbles, dance plucks or dynamic pads, this soundbank is sure to meet all of your EDM production needs! These presets were inspired by artists like Noisia, Bassnectar, Datsik, Deadmau5, Skrillex and Knife Party. Each preset is mapped with 8 macro controls for detailed automation.